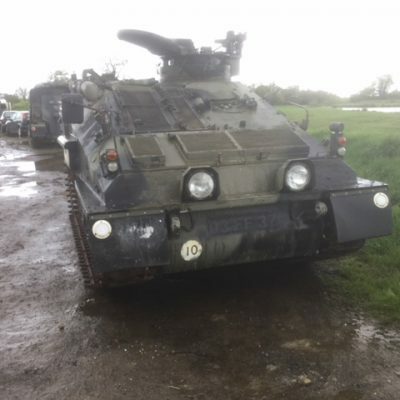 We have 1 Chieftain Willich AVRE for sale. vehicle has minimal hours on the the clock. 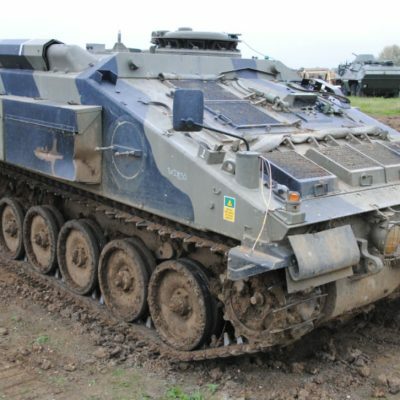 It is from the original first order for a AVRE based on the Chieftain Tank and were converted by the British Army REME at the Willich Base in West Germany, hence their name. 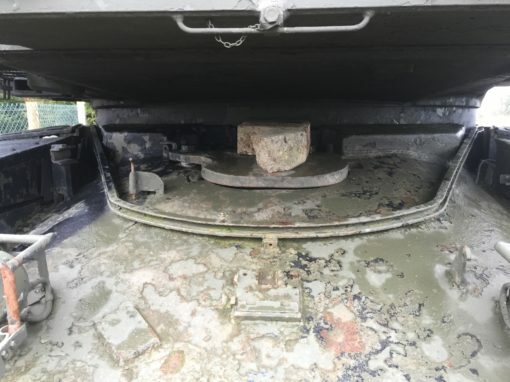 It’s stated in the ‘Haynes Chieftain workshop manual’ that only 17 of these Chieftain Tank AVRE Willich were ever made, 2 of which were prototypes. 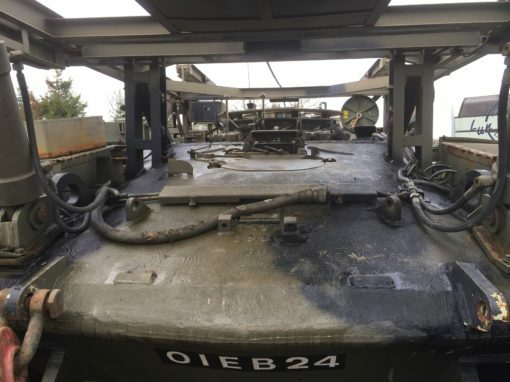 Most have been destroyed as hard targets on the ranges. I stripped one Chieftain Fascine Layer at Lulworth Cove Ranges in Dorset several years ago. I’m guessing no more than 5 of these monsters are still in existence. 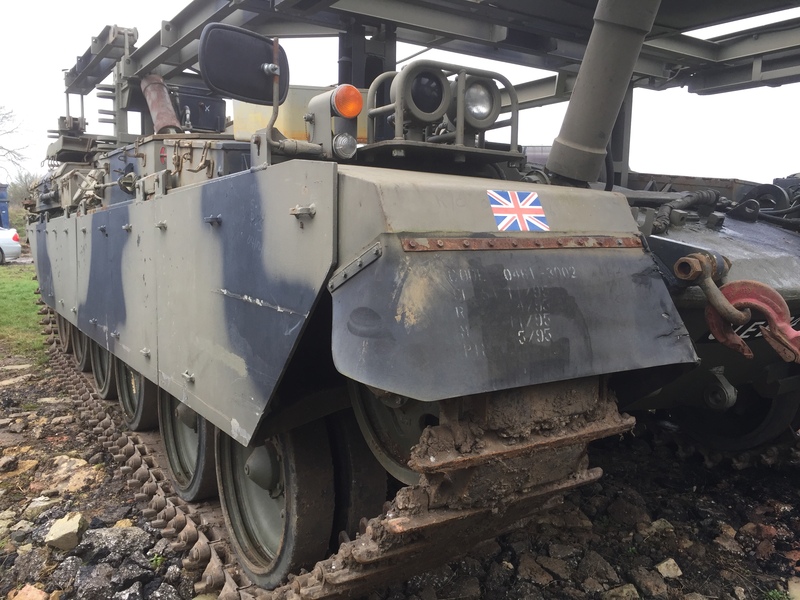 There’s every chance these Chieftain Fascine Layers were used in ‘Operation Desert shield’, and deployed to Saudi Arabia to back up the Challenger ones, both the Royal Engineers and REME took several Chieftain Willich with them (as stated in the Haynes Chieftain Main Battle Tank Workshop Manual). 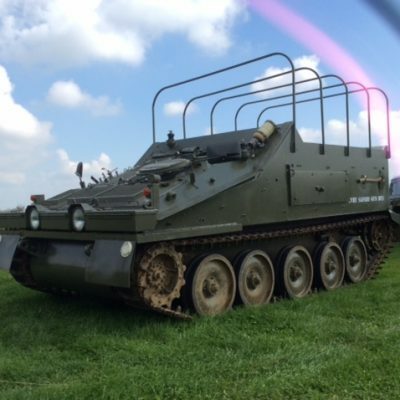 We have 1 Chieftain Tank AVRE Willich For Sale! What I love about them is they have the same engine and Powertrain as a normal Chieftain but weigh 20 ton less. 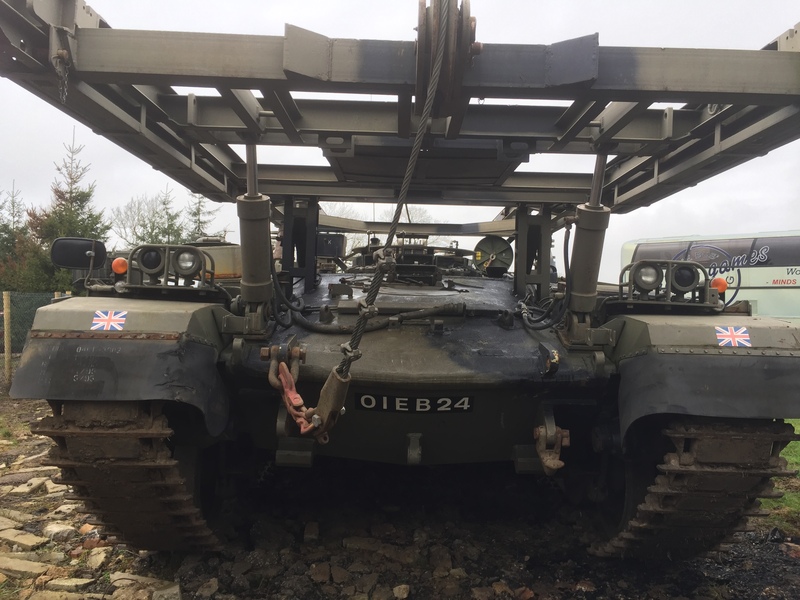 Do the maths – these things go like a scalded cat and do much less ground damage. A real driver grinning experience, take it from me! We have started playing with the plain green one and it’s a beauty to drive, light as a feather. Having done only 51 miles from new you can imagine the condition. We still have a few jobs to do to wake up some of the systems but things are going well and it’s even crushed a few cars ( check out our Facebook ).